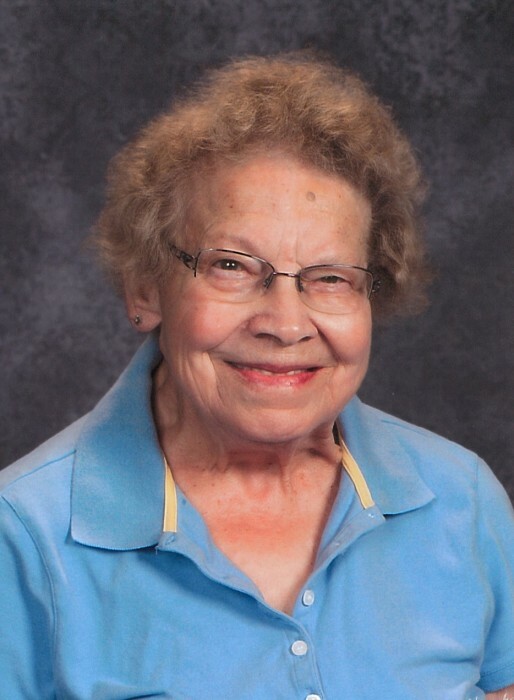 Phyllis (Pat) Patricia Kennedy, 88, of Alpena passed away Tuesday, February 12, 2019 at her home surrounded by her loving family. She was survived by her children, Bonnie Duby (Nate Wodja), Diane Kennedy-Kus (Chuck Kus), Janet Burton (Ken Burton), and Charlie Kennedy; 8 grandchildren; 15 great grandchildren; 10 great-great grandchildren; sisters-in-law, Helen Page and Joyce (Frank) Troy; and numerous nieces and nephews. She was preceded in death by her beloved son, George; daughter-in-law, Jong; granddaughter Patricia; great granddaughter, Tristin; siblings, John “Jack” Page, Mae Little, Margaret Brown, Dorothy Blizzard, Genevieve Campbell, and Charlie Page; and her dear friend, Harry Ferris. Phyllis Patricia Page was born in Posen on March 29, 1930, to the late Warren and Nellie (Sanger) Page. She married George Kennedy on April 26, 1947. He preceded her in death on July 11, 1973. George and Pat owned the original Bolton Bar. Pat was amazing! After selling Bolton Bar, she began driving bus for the Alpena Public Schools, retiring after 25 years of service. She began the next phase of her employment with Thunder Bay Transportation while moonlighting at the Alpena Country Club and Tap Room Bar. She concluded her career at Hinks Elementary School as part of the Grandparents Program. Pat’s greatest passion was her family. She dedicated her life to working with children which gave her so much pleasure! She was active with her children and grandchildren and volunteered as a 4-H Leader, Girl Scout and Brownie Leader. Pat was an active member who volunteered on numerous committees and activities at St Paul Lutheran Church. She was the founder and president of the Alpena Womens’ Pool League and a member of the Aides by the Dozen Group and Eastern Stars. Visitation will take place at the Bannan Funeral Home on Friday from 2-8 p.m. and will continue Saturday at St. Paul Lutheran Church in Alpena from 10 a.m. until the time of the funeral service at 11 a.m. with Rev. Leslie Nye officiating. Memorials can be made in Pat Kennedy’s name to the Alpena Senior Citizens Center, McLaren Hospice, and St. Paul Lutheran Church.